Morning time you will be picked up from your cruise by your private English speaking Egyptologist guide who will accompany you to Al Alamein World War II remains and cemeteries then you will also visit the Military Museum which includes the old weapons, tanks, flights, and bikes used in the World War. Also the descriptions actions of Montgomery, Rommel and the others participated in the battle are all on display. 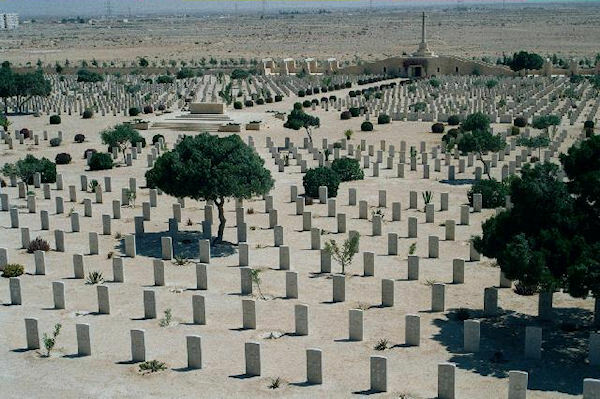 You will have your lunch enroute on the trip then you will continue your way to the West of Al alamein a beautiful town overlooking the Mediterranean Sea to visit the World War Cemeteries where you will see the citadel looks like cemeteries is the final resting place for Common wealth, Greek, Italian and German soldiers. Finally you will be escorted by your guide back to the cruise in Alexandria Port : departure time from Al Alamein depends on the departure time of your ship in Alexandria Port.